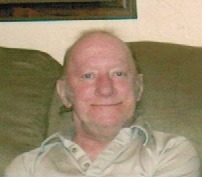 Ernest Lee Ealy, 62, of Covington, KY, passed away on Wednesday, January 30, 2019. He was a retired manufacturing technician at Ford Motor Company. Ernest was preceded in death by his sisters: Margaret Tepe and Phyllis Ramsey and brother: Carl Ealy. He is survived by his sisters: Terry (Cecil) Weatherford and Tammy (Danny) Cooper and many nieces and nephews. A visitation will be held at Connley Brothers Funeral Home, 11 East Southern Avenue, Covington (Latonia), KY 41015, on Sunday, February 3, 2019 from 1:00 PM - 3:00 PM. A funeral service will take place at Connley Brothers Funeral Home at 11:00 AM on Monday, February 4, 2019. Interment: Mother of God. Memorials are suggested to the Ernest Lee Ealy Memorial Fund: c/o Terry Weatherford, 4684 Aspen Drive, Liberty Township, OH 45011. For online condolences, please visit Facebook or www.connleybrothersfuneralhome.com.